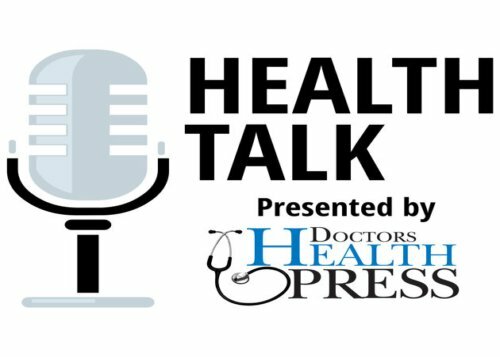 Join us as we speak with Dr. Michael Kessler as he explains how technology can offer insights into your health like never before. Hello everyone, welcome. Thank you for joining us today. If you are a regular listener, welcome back and if this is your first time listening, welcome. You are listening to health top by Dr. health press. I am your podcast hosts Sarah Cownley. This is episode 12 titled The technology that could help you live longer and increase longevity. Now today we have a very special episode for you because we are going to be speaking with Dr. Michael Kessler. Now, if that name sounds familiar at all to you, it’s because Dr Kessler is on our board of advisors here at Doctors Health Press. So, if you subscribe to our ebulletin, you will have already received informative news and some real groundbreaking research from Dr. Kessler himself, but today he’s here to give us some really exciting information about all of this new and innovative technology including something called Heart Quest that your doctor should really be using and if they aren’t, you really need to ask them why not? Now, after working together for Doctors Health Press and getting to know Dr. Kessler, he’s always talking about his new technology and how it’s enabling him to help his patients, so I kind of knew right away that I just had to get them on the show to explain how he’s using this technology to track the health of his patients. We know that the human body can be affected by lifestyle environmental factors and even genetic variations, but just imagine if your doctor could run a really a simple test to find out exactly how these stressors are affecting your overall health. This technology that Dr Kessler was going to talk to us about today can really offer insights into your health like never before. So let’s not waste any time and get right into our interview today. Dr Kessler. Welcome to the show. I’m so glad you were able to join us today. Oh, it’s great to be here sharing. You’re doing such great work educating the public about things that are going to help them in a big way in the future, so that’s great. Well, okay, so let’s start off today by hearing a little bit more about you. As I mentioned earlier, you’re on our board of advisors here at Doctors Health Press, but can you just tell us a little bit more about yourself? Yeah. You know, Sarah, I’ve been in private practice for about 35 years and I’ve kind of looked at almost everything out there that you could possibly imagine to help my patients, you know, and I brought in and for my own practice, all sorts of different technologies as well. And over, you know, the 35 years I’ve decided to turn my attention to educating other health providers and other health practitioners in bringing in technologies into their practice to help them treat patients and improve the quality of their patients’ lives and health. And so, as you mentioned, have several technologies and the Heart Quest is, one of those and it’s a very important one and I’ll explain why today. Okay, perfect. Now I know when you had briefly mentioned this to me before the Heart Quest, you had told me that it’s quite an interesting history, so I’m kind of intrigued to hear all about that. Well, you know, if first started in, in Soviet Russia during the Cold War and it was designed to track the health of the submariners and these summaries and these tin cans, these four guys were stressed out and they want to see how well they can adapt to stress and they use this in their Soviet military. They used it, to check the distress and how well these spies and adapt and then it went into, the, you know, the hospitals in Russia and the and then it moved into the sports medicine field and into private practice. And it’s kinda one of those things that was, there was a lot of scientists working on it. You know, there was, there was mathematicians and physicists and it kept adapting, right? Kept changing. And then finally, by chance I ran into this guy named Dr Karimov who is now my partner and I met him at a conference and he showed me this technology and I go, wow, I’d love to have this in my practice. Other practices would love to have this. And we ended up for me accompanied by 10 years later and improving it and we keep improving it. We keep getting patents out of Russia. And as we get those patents, we put it into the hard questions, and the hart quest, kind of looks at all the regulatory systems that regulate our body from western medicine all the way to Chinese medicine. And the beautiful thing is ever heard a Rod Stewart say, every picture tells a story. And how that, that it’s really true. Every screen on there is so visual for the patient and the doctor so they can see exactly the direction their health is going. So there’s no guessing. So, if the patient’s doing the right things with their lifestyle, with stress reduction off the right, the right diet for them, whatever it is that you’re doing or the doctor is using as therapy, even light therapy or sound therapy or you know, all these other things you can see is it really helping or not, and a, or do we have to make a change? We have to shift our therapies and the patients love it. In fact, they come in the office and they usually say, you know, can we run that today, Dr. I want to see, what they call my biological age versus my actual age. And I’ll go through some of the things that this thing will tell you, a lot of information and we’ll go through some of that. But can I tell you a little bit about some of the principles here? Yeah. You know, so, you know, in life most of us have different types of stress, right? We can have physical stress, mental, emotional stress, stress from some environmental toxin or whatever it is. And if you could think of those stresses, they kind of put up downward force on us. There were putting pressure on us all the time, but if we have, you know, a certain amount of resistance to that stress, internal resistance or adaptive capability, we can deal with it. But when the adaptive capability starts to break down, those stressors are going to cause what signs and symptoms that most people go to a health provider for, right? And if they go to a traditional guy, a traditional practitioner, what’s he gonna do? He’s gonna turn off those signs and symptoms with some kind of pharmacology, right? A drug and then disease is going to continue to ensue because why they didn’t deal with the true causal factors. Right? And so that adaptive capability to resist is what we’re measuring. How well can somebody adapt to stress, which tastes me really to this incredible statement by Darwin who says, you know, it’s not the strongest of the species that survives or the most intelligent. It’s the one most adaptable to change. And so we can measure that adaptive capability and we can start to see when somebody’s system is not able to adapt anymore. But the interesting thing is we could bring them back into these, we have these ranges and these different parameters that we measure. And so here’s a real interesting one. There’s something called the million dollar prize. It’s a contest in Palo Alto, right? And, they’re looking at slowing down the aging process and they hired these teams to compete all over the world and they’re using heart rate variability, which is a part of my heart quest technology to see a two score to see how these different therapies are working to reduce aging and slow that process down. And what they found is that we have a certain, a range where we can adapt. We go outside that range. If we’re young, we can get back within that range. So suppose our blood pressure goes out of that range when we’re young, we can self correct when we’re all here, we go out of that range and we can’t self correct. Right? And so we’re met and we have in the Heart Quest, we have these parameters, these specific corridors, the specific range and so we can see where our patients are at and if we can bring them back into that corridor health. Does that kinda make sense? That’s. Yeah, that’s quite amazing. I’m just thinking, I know a lot of our listeners have probably tried maybe some different lifestyle changes or maybe even homeopathic remedies, but they’re not really sure if they’re really working. So I’m thinking this technology will help the measure the effectiveness of the therapies that they’re trying and maybe see if, if their strategies are actually working, that’s the key. That’s really a key. So a lot of different companies actually hired me to look at their technologies even, you know, so whether they have a specific homeopathic, they want to see how it, how it works, they’ll have me use this technology to, to evaluate that for them or a light therapy here in the room here I have which is a light gem therapy for example. And I have another machine, which is a $25,000 pemf device. So, I have a microcurrent here, I have all these things here and we can see if that therapy is going to be helpful. But you know what I find is these therapies can all be helpful, but not all the time because everybody’s unique and some of these therapies will blow somebody out of the water because when we look at the Heart Quest, sometimes we can measure vitality. And if the person has a low vitality and you use some of these therapies on them, it’s too much for them. Okay. And it will weaken their system and they may detox too hard. And so if somebody has a low vitality, for example, when I want to do a detoxification program on them, I don’t think that’s what I actually, because of vitality so low, I’m not going to do that on him. I’m going to build their system up first. So it gives me an idea of that uniqueness of that particular person and how I want to deal with that. Does that kinda make sense? Actually, that’s a great point because a lot of times we hear about these new, natural types of an alternative type of therapies, but we never hear about the flip side of it that maybe it’s too much for, you know, that specific patient or it’s not right for everybody. And, and her quest can really tell the doctors that, you know, like you said, one therapy may be right for someone and not right for someone else. So that’s a great. Yeah. You know, so if somebody, for example, is going to get on a pulsed magnetic field therapy and a lot of people go on these mats and they lay on them and they have all these great benefits, but what we’re finding that if they have low vitality before you do those things, you want to build their cell membranes up. So you want to give him certain fats to build the cell membranes. You want to make sure they’re really well mineralized or it’s too much for the cell, to deal with and, they detox and, and they have a poor reaction to that. So sometimes you just have to do certain things to build the body up first. And one thing we haven’t mentioned is how is the Heart Quest done? Is it a blood test, urine test? Is it invasive? Yeah. That’s a good question. So it’s a real simple task. We put little, looks like little jumper cables because the residents aren’t really great with this aesthetics. It looks like jumper cables, you put it on the wrist, you wet the risk down and you turn the machine on. It takes five minutes. You’re measuring the electrical activity of the heart. It’s like an EKG. You’ll see like an EKG, a picture kind of show up on the screen, and then from that EKG it’s going to break it down into something called a spectral analysis and, and other things that give us deep information about the whole regulatory system. The main thing that is measuring, the EKG we’re measuring something called the waves. Those are the when the heart contracts and we can see from one contraction to the next 300 times and that’s controlled by the autonomic nervous system. Should be called the called the automatic nervous system because that’s the one that regulates our body, body’s functions without us thinking about it. We don’t have to think about the heart beating and Oh God, I forgot the I forgot to tell my heart to beat, or if it got to breathe, everything is done automatically and it’s made up of two branches. Very important. The sympathetic nervous system and the parasympathetic nervous system, and most of us know about the sympathetic nervous. So that’s our fight or flight, right? And that’s when you know whether we’re being chased by a beast that wants to eat us or our mother-in-law’s come to stay with us for a month or IRS is coming to visit us. Our body’s going to react the same way. It’s our heart rate’s gonna, go up, blood pressure’s gonna, go up, and it’s going to shut down the things that we don’t need for survival. One of the ones is digestion. That’s why you don’t want to be eating when you’re stressed out or you’re having an argument because it’s shut down. It also shuts down detoxification. So I go on and on. There’s a lot of things are with the sympathetic nervous system, but a lot of people today are stuck and they can’t move back into what we call the parasympathetic side of the nervous system, which is where repair, regeneration, healing and reducing inflammation take place. We need to be able to be flexible enough, like a dance to be able to flow back and forth as needed based on what’s going on in our lives and we don’t need to be stuck in one system or the other because that would not be good. And you know, I could give you an example. You know, a Gal came into see me and she’s sitting next to me and she’s made. She was, she was very uptight. She was making me even feel uptight, you know, and she came in and she said, look, I’m prediabetic and you know, I eat right. I live on a farm. I do everything right. I don’t understand it. My hemoglobin A1C if you know what that is, that’s measuring your blood sugar over several months. What it looks like, it’s her blood glucose was per triglycerides are up all the things that we consider, you know, type two diabetes who in or close to it, like insulin resistance and all these syndrome max. There’s a lot of names for this thing. And she was, she was pissed off that she had this and she thought she was doing the right thing. So I run our heart rate variability and I see her sympathetic nervous system. The fight or flight is almost consuming but is 99 percent almost sympathetic nervous system on this test and a very little bit of relaxation and regeneration, which is the parasympathetic nervous system. And then when I looked this test, we’ll also look at brain function and it showed me that her Beta waves were really high, which is, you know, looping thoughts, anxiety. And so when you’re in a stress mode like that for a long period of time, you’re going to produce cortisol and cortisol is going to increase your, you know, blood sugar’s going to go up. And, and, and so it was more of a stress response that was causing this to happen. And so that’s a good example of the Heart Quest actually seeing really the whole picture, right? It wasn’t her diet, it was her stress or emotional stress, physical, you know, effectiveness. And so, when we look at this situation, there’s a lot of things that we’re looking at when we look at the autonomic nervous system and you can’t be healthy, you just cannot be healthy if you don’t have a well functioning autonomic nervous system. And what we’re finding as we age, that system starts to shut down, it starts to get smaller and smaller. And this other system called the neural hormonal regulation starts taking over. And I’ll tell you the significance of this is the autonomic nervous system is like fast speed internet. It regulates your body very quickly. The neural hormonal regulation is kinda like snail mail. It takes a lot of metabolic energy to run that system and it’s kind of, you know, wears out the system basically. And as we age, we become more, we functioned more from that system because that system is getting, it’s working from the bloodstream. It’s got to pump the hormones into the bloodstream from something called the HPA access to regulate the thyroid, to regulate the adrenals. And then when those hormones build up in the system, that system shuts down. It’s kind of like a Thermostat, you know, temperature control system and it’s a chemical called a negative feedback loop. But my point is as we age, we can start to see this, this starting to take over and what we try to do is get them back to more where the autonomic nervous system is. The more the predominant functioning system of the body does that kinda make sense? And so we’re wearing our system, our self out and in a, we call that blocked regulation actually when the autonomic nervous system isn’t able to regulate as efficiently as it should. And so when we measure the parameters on the Heart Quest, there’s a lot of things that we’re measuring, we’re getting indication. Yeah, how well somebody can handle an emergency situation. We’re getting indications about neural hormonal regulation, which is again this, this endocrine system and how well it’s functioning or not functioning. We get to measure something called the metabolic energy, you know, you know, like a BMI or your, you know, how much do you know? It gives you an idea of how much energy you’re able to produce to run your hormones and everything, all your systems of your body, how well you recover from a, you know, an exercise bout or a stressful situation. Some people when they train, you know, and they do exercise, they may need more time to recover, to recoup. We can see that. We also have indications in brain function and brain toxicity. We got indications of how well the neuro transmitters are working as far as excitatory and inhibitory neurotransmitters that regulate your mood. We have indications of things that tell us about your peak performance. We do a spectral mineral analysis that gives us an idea about your minerals. Like most people are low in magnesium for example, and we can kind of get a feel for that. We get a feel for inflammatory things. Like we have something called the inflammatory index that tells us so we could kind of see, well, this person started over here. They have a lot of inflammation and now it’s starting to go the other way, which our therapies are working. We have things that give us clues about hormonal ratios and one of my favorites and this thing is called the thyroid functional index and that came out of Russia where they were looking at people with graves disease. That’s kind of where their thyroid is kind of going hyper and they usually with the therapy for that is they kill the thyroid. They radiate the thyroid and then they wanted to figure out how they can get the thyroid back into a range and they were using their meds and they were taking blood tests and they were also measuring them on this heart rate variability type system and they came up with an algorithm of which direction the thyroid’s going, which we use today to see if somebody is going a little more hypo thyroid or hyper thyroid and it’s about 79.9 percent accurate. But that’s really cool to be able to see that right there. And so if somebody has like Hashimoto’s, which is autoimmune thyroid condition, you’ll start to see over time the person goes low, thyroid, high thyroid is unstable and you can see it. So this test is really looking at a globally, all, I mean globally, all the regulatory systems. And now we also can look at Chinese medicine. So you might go, well, how can you use the EKG to look at know, the Meridians? Well, you ever go to a Chinese medicine doctor and he measures your pulse, have you ever been to one. Yes I have and they talk about something called Qi. Yeah. Yeah. So, we go, okay, what is this. Well, with what I’ll tell you, I’ve been to a, an Ayurveda doctor who was world famous and he measured my pulse, for example. And it was amazing when he told me what he knew about me just from measuring the pulse and they’re getting that from the heart rhythm the same way we’re getting this information, but we’re doing it objectively. And so we could get that same information about what’s going on from Ayurvedic medicine as well. And Chinese medicine and the Meridians that we see. For example, one time I was on a ship and I had an upper respiratory infection and I was coughing so I went to the acupuncturist on the ship and before he tested me I measured my heart quest and I could see that my lung was what they call the Meridian. The Lung Meridian was staggered. You could see it, you know, there was energy stuck there. He did the needle, and did everything he does, we checked it again and it came back into normal range. So in, you know, so not just in a traditional, you know, functional medicine and clinical nutritionist, but we have this also in offices where we have our doctors practicing TCM, Chinese traditional Chinese medicine so they can see before and after, which is more important for the patient to be able to see that something is being done and they hit the mark. Right. I mean that’s. I think that’s pretty cool. Absolutely. This technology and testing is really pretty incredible because as I sit here and listen to you speak about it, I think how many people maybe have been bounced around from doctor to doctor to different specialists to get all of these different types of testing done where you can kind of run this one simple test and get an overall view of their health. I mean, it’s pretty amazing. It really is. And that’s what sold me on this. And we’re actually continually expanding this technology. My partner, Dr Karimov was brilliant, he is an MD from Russia and he’s a tradition, is a naturopath, a NMD in Portland, Oregon. And so between me, him and Dr. Becchetti, my wife and also my partner, we’ve been working on this for the last seven years and improving it and we’re going to continue doing that. So I highly recommend if you’re, you know, if you’re out there and you’re getting, you’re making lifestyle changes or you’re seeing a specific professional, you probably would like to have them run this on you. And if they don’t have it, maybe we could figure out, give you a list. We got about 600 doctors out there were more running this test and maybe we can help you with that, Sarah. And, if somebody requests that they want to run it, well we can maybe give them a, somebody in their area who’s, who’s utilizing it. That would be great because my next question to you was going to be how can people find this testing because I’m sure so many people listening today are thinking, I want this, you know, I had been suffering for so long and they don’t know why. And they think it could really help them. So that would be wonderful. So, we’ll get your contact information up on the site and um, and we’ll get that information out to people. That’d be great. You know, so. So the way I was going to tell you, the way I use it is I do some very sophisticated genetic testing which looks at mutations in specific genes where it shows me there’s genes that will, that will tell me that there’s a weakness in that particular area, whether they can, maybe they can’t utilize the fat they eat because there are certain mutations there where they can’t get it into the cell to make energy where maybe they can’t make their most powerful antioxidant glutathione and they have lots of inflammation. And I go on and on and on. It’s huge. So I look at this genetics and I combine it with certain chemistry that goes into the same report so I can kind of see, you know, because you can’t know by looking at the genes, you can’t just say well, they’re expressing that gene. You got to combine it with symptoms and the questionnaires and the lab work and my software does that, not in the hard quest. So when I put somebody on say a program and give them the nutritional bypass to bypass those genetic mutations, I’ll use the Heart Quest, for example, to make sure that what I’m doing is working and moving them in the right direction. That’s an example of how you could use this in a very sophisticated way as well. Or just basically a use traditional Chinese medicine or basic functional medicine that a lot of you know about, a clinical nutrition, whatever it is. This is a way that you can track. That’s amazing. Well, Dr Kessler. I just want to say thank you so much. We’re almost out of time here, but you’ve given us so much information and I’m sure a lot of our listeners now are going to want to get tested by this new technology. Well that we’d love them to do that. That’d be really helpful for them really to, you know, it’s, there’s something to be said about really having that objective data to know where you’re at and I guess, right? Right. So if our listeners are out there today and they want it done by their doctors and their doctors don’t have this technology yet, you can do need to tell them to get the heart quest. Yeah, absolutely. Absolutely. And I just plugged one more thing, you know, and we’ll do that maybe at another, another talk with you is the brain gauge too because I combine this and now the biggest problem right now is people are worried about losing their memory. So that would be something else that we used early on. We want to catch it early is the brain gauge. So we measure brain function as well. We have, we, we measure a lot of tools. We have tools, but that’s another big one. We’ll talk about another. We’ll have you back on the show anytime. You can tell us about all of this new technology that you’re working with because it really is helping so many people. And at the end of the day that’s what we want to do. We want to get the message out there and help as many people as possible. Well, keep up the good work and we really appreciate you. I really appreciate you inviting me on today, Sarah, and I guess we’ll are signing out. We’re signing out. Thank you. Once again, Dr. Kessler and we’ll speak to you again on the show. Thank you. Learning about this new technology. I can only imagine that it has already helped so many people on their path to a healthier life and I hope that many more doctors will start using it to offer more pathways of healing to their patients. If you would like more information about the heart quest, please visit their website at www.hrvhq.com And if you want to learn about many more natural health products, head over to our website at doctorshealthpress.com and sign up for our daily bulletin. This daily email will give you a really a quick update on the health topics that will help you keep your family healthy. The natural way we can offer you alternative ways to manage your health without having to rely on the use of prescription drugs or risky surgery, and you can really depend on Doctors Health Press for unbiased information based on strict research credentials, and we send this information every day for free so you can sign up for the letter on our website. Again at doctorshealthpress.com We do also have one of our doctors health press publications available right now at a discounted rate. You see our publications, are monthly newsletters, and these are really going to keep you informed about the latest in natural healthcare. Although the daily bulletins are great for quick health updates, our newsletters are really the place to go when you want more detailed research and health studies that could really help transform your life. So just visit doctorshealthpress.com/podcastdeal to see the special offer it. That’s doctorshealthpress.com/podcastdeal All one word to learn more about the offer. Doctors Health Press has really helped thousands of people to improve their lives and move to a higher level of health, and this could really be your chance to live your healthiest life possible. So don’t wait. I, I truly urge you to visit our website today and if you’ve enjoyed this episode and you want to hear more, be sure to give us a star rating so this will ensure that we’re kind of keeping on track with the health topics that you want to know about. Until next time, I’m Sarah Cownley, reminding you that it’s never too early or too late to work towards being the healthiest of yourself. The information contained herein is for information purposes only and is not to be construed as a diagnosis, treatment, preventative, or cure for any disease disorder or abnormal physical state. Nor should it be considered a substitute for medical care from your doctor on any matter relating to your health or wellbeing and prior to undertaking any health related activity, consult and appropriate health professional. The opinions here in are exactly that. They’re opinions of our guests. Doctors Health, breast and its employees are not responsible for medically unsupervised activities that could be harmful to your health. Results are not guaranteed and may vary from person to person.